Most meal replacement shakes only use fiber to fill you up, but it's rarely enough to get you to your next meal. We use a unique blend of protein, fiber and our hunger-blocker Slendesta®, an all-natural potato protein extract with no reported side effects. You won't find it in any other shake on the market. I love this bundle. 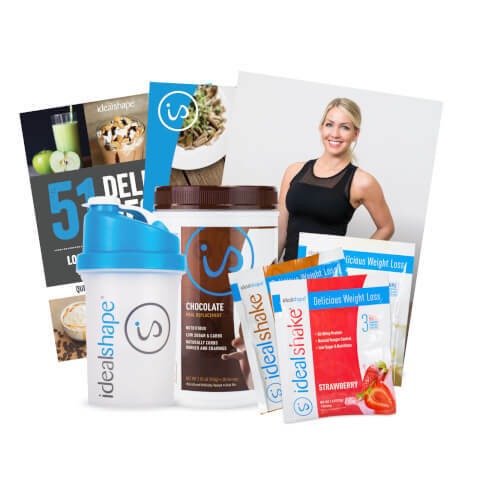 It is great for starting the shake program, or just a refill with all the items you want. This package is usually the same price as the regular tub, but with it you get 3 samples so you can try other flavors without buying the whole thing. This is one of the few shakes that actually kept me full. I got this bundle on my first order of Ideal Shakes. It was the perfect way to start with this product. I really enjoyed trying the other flavors. Each one was amazing! I have since continued to order and use Ideal Shakes! I totally recommend getting this kit!